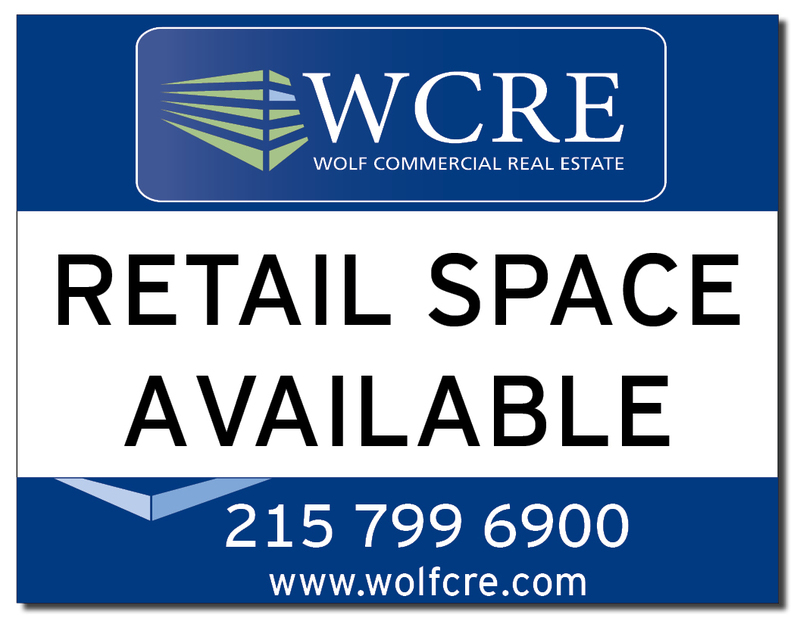 Wolf Commercial Real Estate is a premier Philadelphia commercial real estate broker that represents Philly retail space for lease and sale. We are experts in the Philadelphia retail space market, with a team of seasoned and knowledgeable real estate advisors ready to help you achieve your real estate goals. At Wolf Commercial Real Estate, we go well beyond simply handling property transactions. As an unparalleled Philadelphia commercial real estate broker, we are a strategic partner whose number-one priority is our client’s long-term growth and success in the Philadelphia retail space market. Retail businesses looking to buy or lease retail space in Philly can be assured that the professionals at our Philadelphia commercial real estate brokerage firm have the expertise to help you find the Philly retail space that best suits your needs. 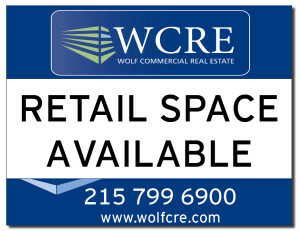 At Wolf Commercial Real Estate, we make certain that the sale or lease terms for your new Philadelphia retail space work to advance your commercial real estate goals. We’re the Philadelphia commercial real estate broker that is with you from the beginning of the transaction to the end, making the transition to your new retail space in Philly smooth and seamless. Do You Own Philly Retail Space? Retail property owners looking to sell or lease retail space in Philadelphia will appreciate the defined marketing strategy that the team at our Philadelphia commercial real estate brokerage firm creates and customizes for each property and sub-market. This process works to effectively and efficiently match buyers and tenants with retail space in Philly. Retail space in Philadelphia is aggressively priced, and market trends show that the retail business in the region is poised for a massive rebound. For more information, please contact the team at Wolf Commercial Real Estate, a leading Philadelphia commercial real estate brokerage firm.